Prices start from just £95 per person. *Cardiff transfers are only available on 2 night Stag Do packages. 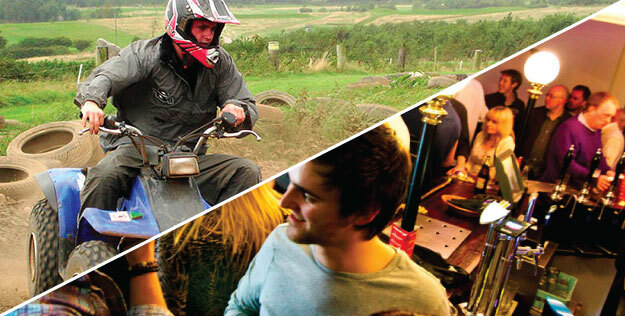 We have a range of exciting Stag Do activities for you to choose from. Visit one of the UK’s most popular destination for stag weekends. Choose from a range of accommodation that suits you and your Party. Cardiff has become one of the best destinations in the UK for stag weekends. We provide a number of exciting outdoor activities during the day and transport to your city centre hotel. Includes a Free Return Transfer to Cardiff on Saturday Night. * We provide a number of exciting outdoor activities during the day and transport to your seafront hotel. The Cabins sleep up to 5 persons each, and are ideal for those groups looking for something quieter and relaxing as well as the uniqueness of staying in swiss style log cabins. Includes a FREE transfer to Swansea Saturday night. The Lodge is ideal for mountain bikers and those groups looking for something quieter and relaxing. Includes a FREE transfer to Swansea Saturday night. Try our most popular activity Gorge Scrambling, sometimes called Canyoning or perhaps Clay Shooting for some friendly competition. A coasteering adventure day perhaps, or chill out at our centre on a Quad Biking & High Ropes day. Why not perhaps try your hand at Surfing on our local beaches here in Porthcawl. Why Choose Wales for a great Stag Weekend? Both Cardiff and Swansea are fast becoming one of the most popular destinations for Stag Weekends in the UK. Our Outdoor Pursuits Centre here in South Wales is halfway between Cardiff and Swansea, so there’s only 20 minute drive to Cardiff or Swansea (or both if you want a night out in each city). Take a look at our Guide to Stag Weekends in Cardiff, giving you up to date information on all the best bars and clubs to visit. You and your stag party will arrive at our activity centre on Saturday morning for 10am. Register the Stag Do group at our reception and meet your friendly staff instructors who will explain the format of the days outdoor activities and he/she will then allocate all your activity kit from our stores. Each activity day will finish approx. 3.30-4pm, in time to get you back to your hotel, ready for a big stag do night out with lots of great stories to regale from the days adventure. 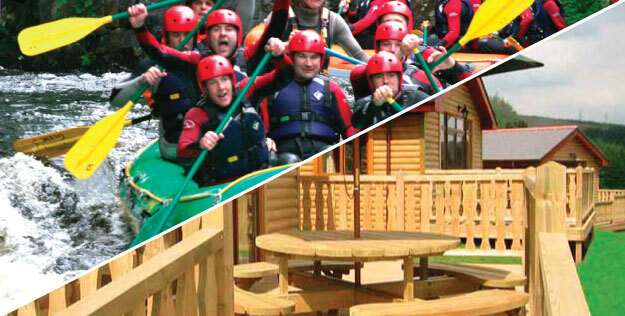 All our Stag Do activities and weekend stag breaks here at Adventures Activity Centre in South Wales are not just FUN, a bit more CRAZY and packed with ADVENTURE. Suitable for all ages, abilities, shapes and sizes! There’s no hassle OR no hidden extras. Either book your stag do weekend activities only or the whole Swansea/Cardiff stag package. We organise all transport to and from your accommodation and your chosen night out, whether it’s locally or in Cardiff city centre. Short ride takes you to your stag night out in Cardiff or Swansea. 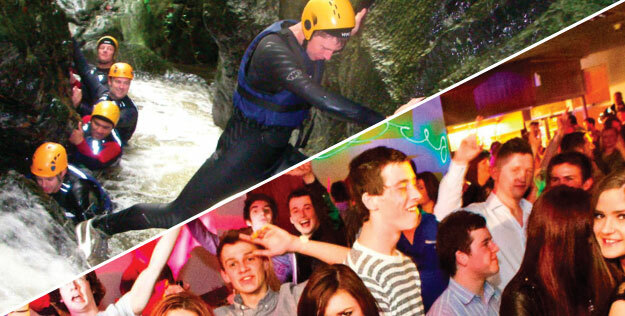 We are the outdoor pursuits company that all the other stag do companies outsource to us! Just a quick email to say thanks for organising my stag weekend in Wales last week. Everyone had a great time thanks to your help and easy going attitudes. As planned everyone was pretty tired after the activities and I avoided being tied to a lamp post in Porthcawl. My liver did take a bashing though. Anyway a great stag weekend, great activities with plenty of good memories. Thanks again for a great stag weekend.